Record year for brands, fewer celebrities, lower volume of entries expected and much more. 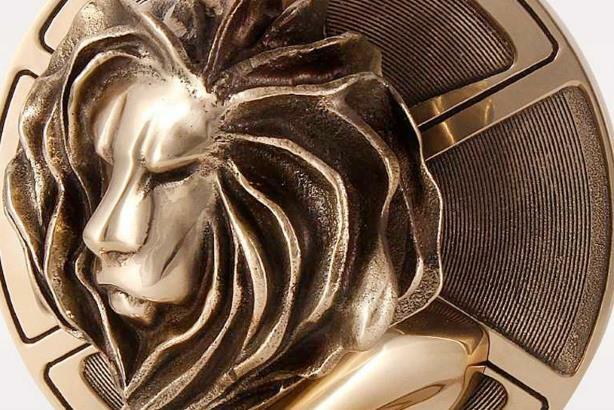 In a month a half, most of the industry will be having a glass of rose on the Palais at the Cannes Lions Film Festival of Creativity – with the exception of Publicis Groupe, of course. With the annual event around the corner, Campaign U.S. caught up with Cannes executives to hear what’s new, what’s different, and what trends we should expect at Cannes this year. This year, expect to see more brands hanging around the Palais than ever before, with the number of marketers entering awards for work created by their in-house teams up 22% from last year. More than 60 CMOs will speak on-stage during the week, including Procter & Gamble’s Marc Pritchard, Samsung Electronics’ YoungHee Lee, and Uber’s Bozomo St. John. Duncan Painter, CEO of Cannes parent Ascential, said that 22 of the top 25 biggest-spending brands – think Nestle, Unilever, General Motors – are sending delegates to Cannes, which represents a marketing budget of nearly $120 million. "Brands are definitely turning up and taking Cannes seriously," said Painter. "They ultimately need to find an answer to growth, and some have had partners for many years, but don’t get the luxury of sticking with that formula and need to find one that works." Cannes also has a partnership with the Association of National Advertisers for a group called The CMO Growth Council, which will meet for the first time this year at the festival. It’s focused on bringing marketers together to chat with their peers about challenges and benchmarks. The next meeting will be at the ANA’s annual Masters of Marketing Conference in the fall. Painter said the big push each year usually happens at the beginning of April, but it started later – toward the end of April into May this year, which he attributes to agencies being "distracted by other things" in the first quarter. Omnicom entries are on the front-foot so far, followed by Interpublic Group, and Painter expects WPP to make a hard push in the next few weeks. "We’ll be pleasantly surprised," he said. Cannes has already seen some entries from Publicis, which famously announced at last year’s festival that it wouldn’t be spending money on promotional events for 12 months. "Publicis is finding ways to enter, whether through clients or production companies," said Ascential Events CEO Phil Thomas. The numbers, however, won’t be nearly as high as last year, he said. Even though Painter said it’s "impossible to give a guide on entries" since many agencies enter later in the game, he admitted that the numbers will be smaller than 2017. "We won’t get to the same volume of entries, but it’s the right thing for the long-term," he said, pointing to the many changes Cannes made earlier this year, such as limited entries per piece of work and getting rid of many subcategories. Thomas said he’s less interested in the number of entries and more intrigued by how much work will be submitted to more traditional categories, like print, versus newer ones, such as influencer or ecommerce. Publicis Groupe – for the most part – won’t be sending people to Cannes, and a number of agencies have said they’re cutting down on the number of staffers they typically send. With the influx of brands attending, Painter thinks that any agency not going to the festival is missing out. "If people are leaving a void, they should be careful because it will be filled," he said. "This is the year to get into Cannes because this is the year where change is happening and brand leaders are looking for solid answers, and if you’re not there, you won’t be part of the future." The tech giants, like Alibaba and Amazon, will all be there, which is another reason why Painter said agencies should be going to Cannes. "The agencies need to get on the forefront and figure out world-class skills and do great creative on them. If they don’t, brands and platforms will find a path otherwise," he said. Nearly every technology company will be at the festival this year. Apple and Amazon, which are not Cannes sponsors, will be attending the event for the first time and will be speaking. Additionally, Chinese giants Tencent, Alibaba, and JD.com, as well as Google, Facebook, Snapchat, and more, will be at Cannes, which Thomas said is a big draw for brands. On Thursday, Cannes named Google its Marketer of the Year. Google is also partnering with Cannes to launch the Google Creative Campus, which will focus on driving greater gender, ethnicity, and sociodemographic diversity in the creative industries. "Entertainment companies need to be there, and they’re all going to be there," said Michael Kassan, chairman and CEO of MediaLink, which was acquired by Ascential 15 months ago. Not only is Kevin Mayer, Disney’s chairman of direct-to-consumer and international, attending, so too are the likes of Comcast, NBC, Discovery, Viacom, Time Warner, and more. And sports is playing a bigger role, with Eurosport and Wasserman attending and NBC bringing Olympic athletes on the main stage. While entertainment companies will have a bigger presence, the number of celebrity speeches will be cut down. "Rather than Hollywood stars and musicians, we thought it’d be more important to hear from Alibaba, Amazon and Apple and from the CMOs," said Thomas. "People will notice that difference." The shift is to help agencies figure out what they can and should deliver to clients to offer the most value, especially as budgets continue to be cut. "Celebrity-based marketing got some traction for a period," said Painter, "but we’re finding that it’s not a sustainable model. If you’re a critical brand and you don’t have that creative story, you’re going to lose in the future."